Can You Bequeath (or Inherit) Airline Rewards Points? | The Levin Law Firm - Philip Levin, Esq. Many of our clients are frequent travelers who have accumulated significant reward points with one or more airlines. Naturally, they would like any miles that remain in their accounts at their deaths to go to loved ones. This approach may work for Bourdain – after all, no airline would want negative publicity arising from refusing to honor a celebrity’s wishes. 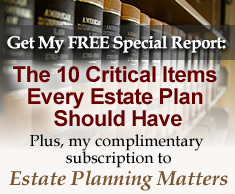 But for the rest of us, it’s not so simple, and bequeathing miles to loved ones in an estate plan is not a workable approach. That is because your rewards account is a contract specifically between you and the airline. It is the airline’s policy that determines if, when and how miles can be left to others. When it comes to planning to leave miles to loved ones, there is no getting around it: You will need to do your homework! Read the fine print on the airline’s web site. Call customer service, too, as our clients often report there is some “wiggle room” between what the web site says and what customer service is prepared to do. Document everything you are told. The same goes for survivors of someone who held an account: Call customer service to see if those miles can be salvaged. Some airlines may comply, regardless of written policies, after requesting certain documentation from you. Miles are not transferable. The website says: Restrictions on Transfer: Miles are not the property of any Member. Except as specifically authorized in the Membership Guide and Program Rules or otherwise in writing by an officer of Delta, miles may not be sold, attached, seized, levied upon, pledged, or transferred under any circumstances, including, without limitation, by operation of law, upon death, or in connection with any domestic relations dispute and/or legal proceeding. Jet Blue has a “family pooling program” that allows family members to transfer points to one another. But when an account holder passes away, the points die with the holder. The Jet Blue web site says: Accrued Points and Award Travel do not constitute property of Member and are non-transferable (i) upon death, (ii) as part of a domestic relations matter, or (iii) otherwise. Also, remember to check back with the airline from time to time. Airline policies can change over time… sometimes in your favor.